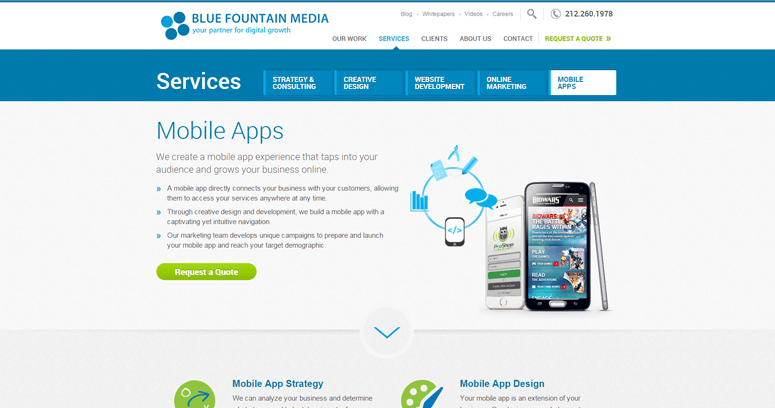 Blue Fountain Media proudly admits that its strength is in open source Web development. This company specializes in installing and launching content management systems (CMS) that are affordable for just about any client. For example, WordPress is available in several packages that fit the budget of small businesses and individuals. Large corporations could also find the CMS options by considering Drupal. 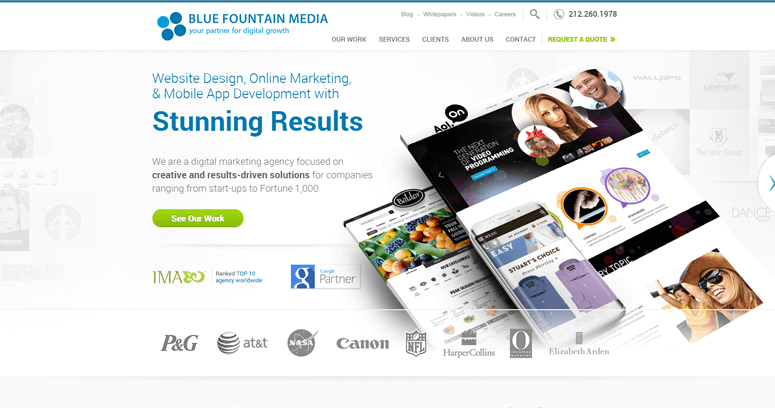 For e-commerce, Magento Hosting is the most viable solution that is offered by Blue Fountain Media. Joomla is another CMS choice that is applicable for enterprise-style development. In addition to using open source templates to build custom websites for customers, this firm also utilizes technology such as ASP.NET and PHP. It is important to apply such powerful programming languages for websites that are supported by reliable operating systems such as Linux and Apache. 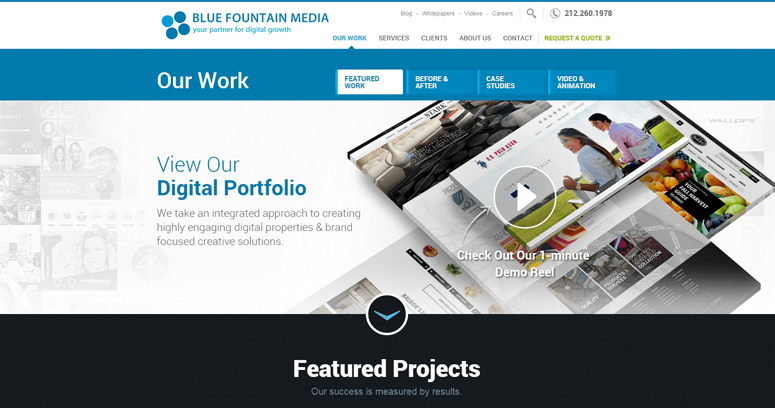 Blue Fountain Media also looks for free and affordable applications that are published by Google and other software companies.